Dress color more important than Net Neutrality ruling? -Read the excerpt below from Joseph Rossell's post at Media Research on Feb. 27. The latest social media phenomenon to “break the Internet” was more important to the broadcast news networks than the federal decision to regulate the Internet which could cost taxpayers billions of dollars. The Federal Communication Commission (FCC) passed Internet regulations on Feb. 26, that reclassified the Internet as a public utility. In spite of the significance, the broadcast news networks evening shows (Feb. 26) and morning shows (Feb. 27) spent only four minutes and 10 seconds on the issue. What NBC’s “Today” labeled “the great dress debate” got more than three times that coverage (13 minutes six seconds). These regulations “fundamentally transform the U.S. government’s power over Internet access,” the National Journal’s technology correspondent Brendan Sasso wrote. The extended push from liberal activists in favor of such regulation was funded by at least $196 million top liberal foundations. Each of the network’s evening shows on Feb. 26 covered the vote, but only CBS’s “This Morning” of the morning shows on Feb. 27 mentioned the major new regulations. 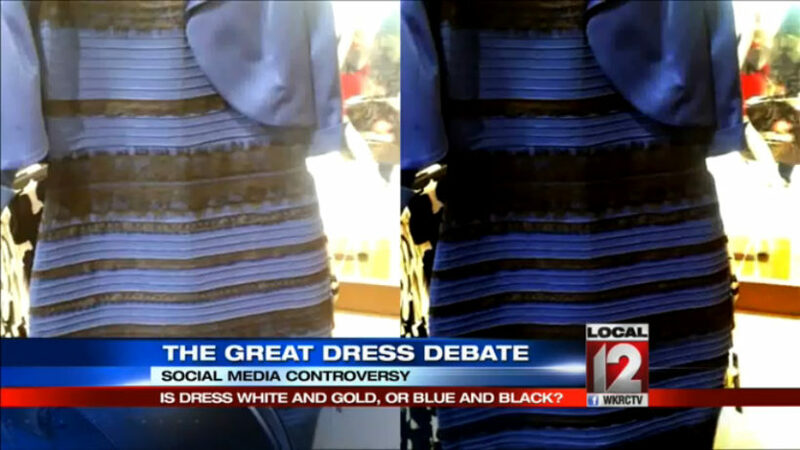 The networks had plenty of time to talk about the color of a photographed dress being debated on Twitter. NBC’s “Today” co-host Matt Lauer joked that “sometimes you just don’t know what it is that is going to burn up the Internet,” but neither he nor his co-anchors brought up the more important story about the internet. In the stories aired about the FCC’s decision to regulate, two networks’ coverage was skewed in support of the ruling. The Feb. 26, “Nightly News” spent almost two minutes on the story (1 minute 37 seconds), but correspondent Tom Costello quoted just one opponent of the net neutrality rules. That was Republican FCC commissioner Ajit Pai. Costello also included two supporters of the net neutrality regulations in his report. CBS “This Morning” was even more biased on Feb. 27. In its one minute, 44 seconds of coverage of the FCC vote, no opposition was included. The hosts of “This Morning” only interviewed CNET senior writer Maggie Reardon, who said the rules would help consumers by providing “equal access” to the Internet and reign in Internet service providers (ISPs). Yet, Reardon’s claim were contradicted by the liberal Progressive Policy Institute (PPI). PPI predicted that households could pay an additional $156 in fees to federal, state, and local governments if regulators reclassified the internet as a public utility in a report released in 2014. Revenue from those fees would total $15 billion per year, according to PPI. “World News” aired the most balanced coverage of the FCC vote. Anchor David Muir noted the comment by House Speaker John Boehner, R-Ohio, that “overzealous government bureaucrats should keep their hands off the internet” during ABC’s news brief about net neutrality. 1. What types of bias does the excerpt illustrate? 2. Why do you think the networks chose to skip informing viewers about the two sides of the new FCC Internet regulations while highlighting the story of the dress color?